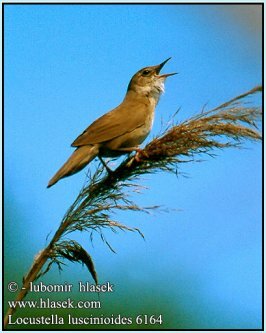 Our Beautiful World:Grass and Bush Warblers, Locustellidae, with Eurasian River Warbler, Grasshopper Warbler, Pallas' Grasshopper-warbler and Savi's Warbler. 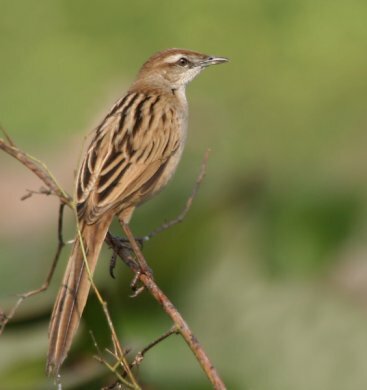 Striated Grassbird Megalurus palustris in Kolkata, West Bengal, India. 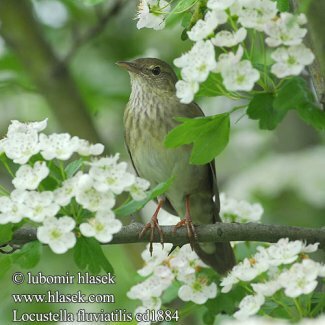 Locustellidae is a newly recognized family of small insectivorous songbirds ("warblers"), formerly placed in the Old World warbler "wastebin" family. 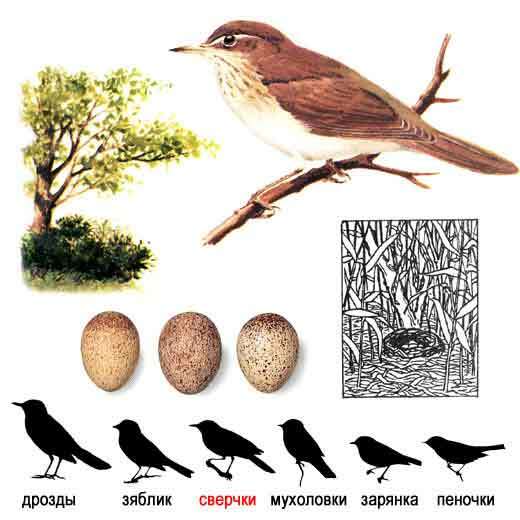 It contains the grass-warblers, grassbirds, and the Bradypterus "bush-warblers". These birds occur mainly in Eurasia, Africa, and the Australian region. The family name is sometimes given as Megaluridae, but Locustellidae has priority. but like these drab brownish or buffy all over. They tend to be larger and slimmer than Cettia though, and many have bold dark streaks on wings and/or underside. Most live in scrubland and frequently hunt food by clambering through thick tangled growth or pursuing it on the ground; they are perhaps the most terrestrial of the "warblers". 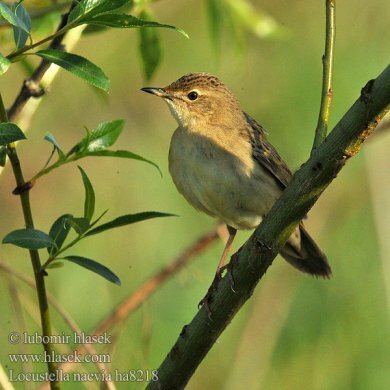 The River Warbler, Locustella fluviatilis, is an Old World warbler in the grass warbler genus Locustella. 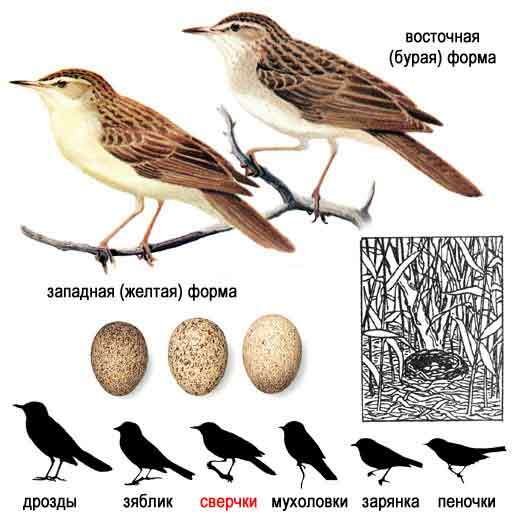 It breeds in east and central Europe into western Asia. It is migratory, wintering in east Africa. This small passerine bird is a species found in dense deciduous vegetation close to water in bogs or near a river. 5-7 eggs are laid in a nest in a tussock or on the ground. This species is a rare vagrant to western Europe. In Britain, a small number of males have set up territories in spring, including a bird in Greater Manchester in 1995.
but young birds are yellower below. Like most warblers, it is insectivorous. a streaked breast and more olive upperparts coloration. This is a skulky species which is very difficult to see except sometimes when singing. It creeps through grass and low foliage. 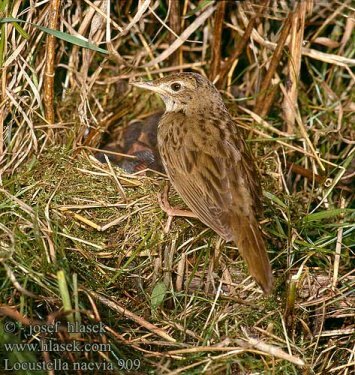 Grasshopper Warbler, but has more of a sewing machine quality, and may be produced for long periods. 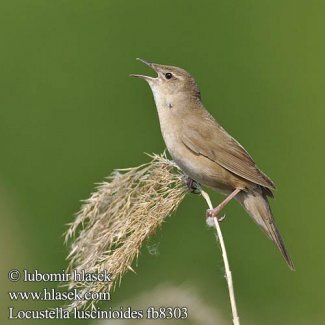 The Grasshopper Warbler, Locustella naevia, is an Old World warbler in the grass warbler genus Locustella. It breeds across much of temperate Europe and Asia. It is migratory, wintering from northwest Africa to India. 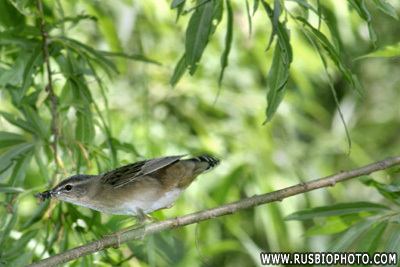 This small passerine bird is a species found in short dense vegetation, often close to water. 47 eggs are laid in a nest on the ground or a tussock. This is a medium-sized warbler, 12.513.5 cm long. The adult has a streaked brown back, whitish grey underparts, unstreaked except on the undertail. The sexes are identical, as with most warblers, but young birds are yellower below. 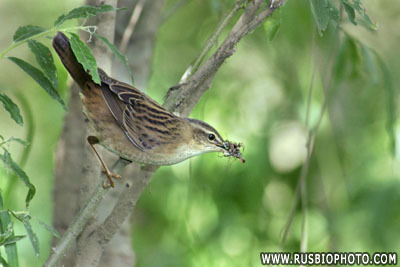 Like most warblers, it is insectivorous. This is a skulking species which is very difficult to see except sometimes when singing. The song, which gives this species its name, is a monotonous mechanical insect-like reeling, often given at dusk. genus Locustella. It breeds in east Asia. It is migratory, wintering from India east to Indonesia. This species is a very rare vagrant to western Europe. One of the best places to see this skulking species as a vagrant is Fair Isle, Shetland; for a species that only rarely appears in western Europe, it can be found there with some regularity. This has made it a sought after species among UK "twitchers". bogs or wet meadows. From 4 to 7 eggs are laid in a nest on the ground in grass. except on the undertail. The sexes are identical, as with most warblers, but young birds are yellower below. colloquial, mnenomic name of "PG Tips". 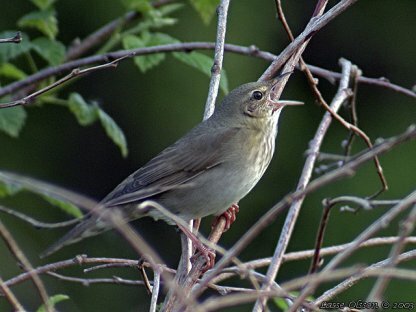 The song is not the mechanical insect-like reeling produced by the Grasshopper Warbler and some other Locustella warblers, but an inventive Acrocephalus-like melody. This bird was named after the German zoologist Peter Simon Pallas.